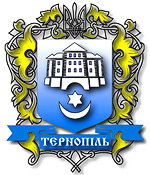 The capital city of Ternopil oblast. 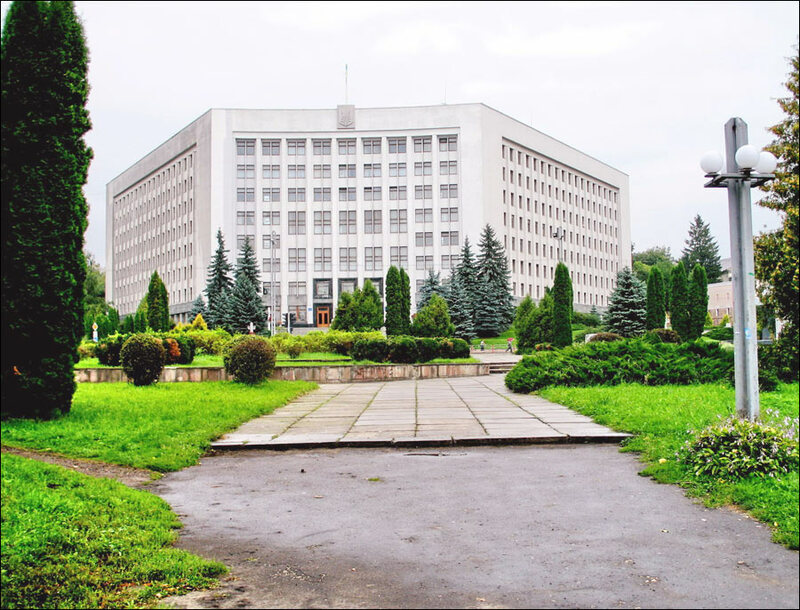 Ternopil is a city located in the center of Western Ukraine, an administrative, economic and cultural center of the Ternopil region, one of the three main centers of the historic region of Galicia. 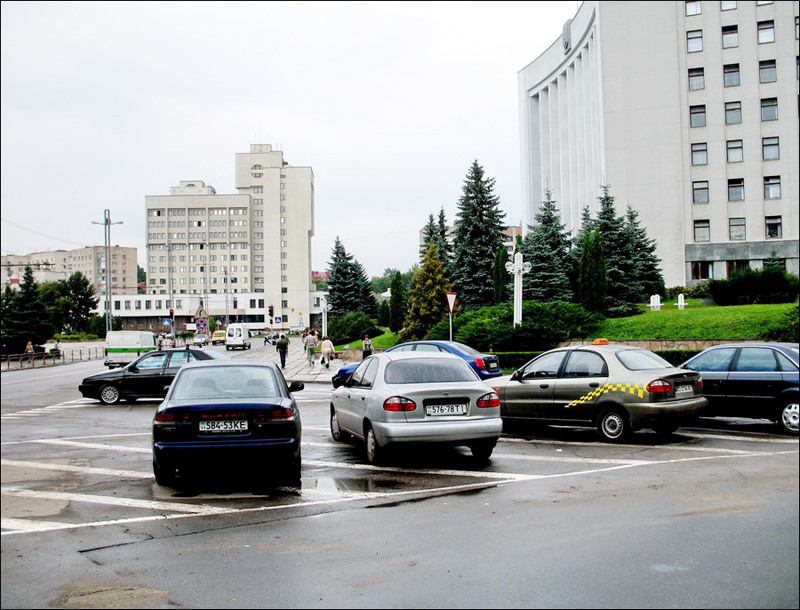 The population of Ternopil is about 217,000 (2016), the area - 72 sq. km. The phone code - +380 352, the postal codes - 46000-46499. 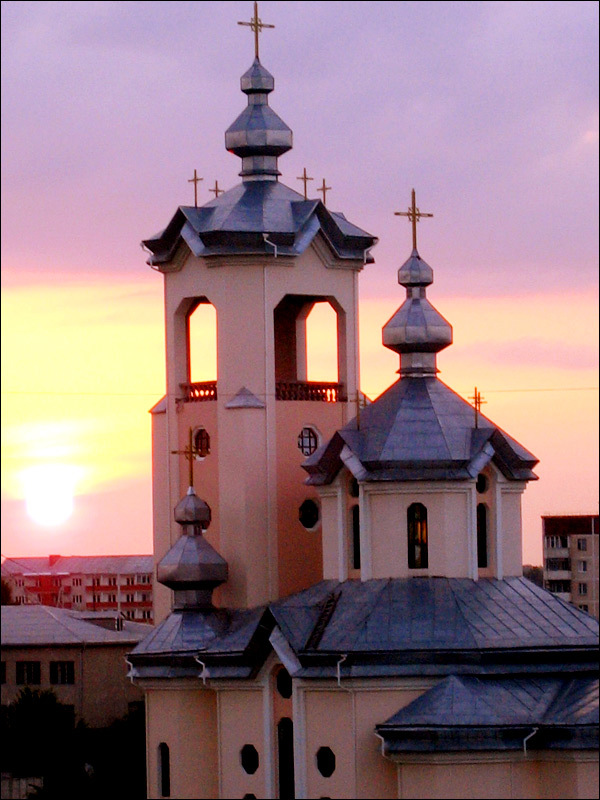 Local time in Ternopil city is April 21, 5:40 pm (+2 UTC). For the first time Ternopil was mentioned in 1540, when the Polish King Sigismund I Old gave Jan Amor Tarnowski, a Polish nobleman and statesman, a permission for the founding of the town and possession of the land around it. The construction of the fortress on the bank of the Seret River lasted eight years. It was built to protect the southeastern borders of the Polish Kingdom from the raids of the Crimean Tatars. However, people began to settle on this territory much earlier due to a favorable combination of fertile lands on the left bank of the Seret and dense forests in which it was possible to hide. The town’s territory was already inhabited about 12 thousand years ago. In this area there was also the ancient Russian fortress of Topilche (Sopilche), which was destroyed during the campaign of Batu to the Carpathians in the winter of 1240-1241. 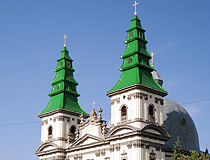 In the 16th century, Ternopil occupied a small territory. The town was surrounded by the lake and marshes on three sides, from the east it was fortified by a wide dry moat with ramparts, palisade, two towers on the corners. During the 16th-17th centuries, it was repeatedly subjected to raids of Crimean Tatars. In 1548, Ternopil received the Magdeburg right, according to which it was granted some privileges: its residents were exempted from taxes for 15 years, from paying a fee for 20 years. The town received the right to organize 3 fairs a year and to have warehouses for goods of foreign merchants. 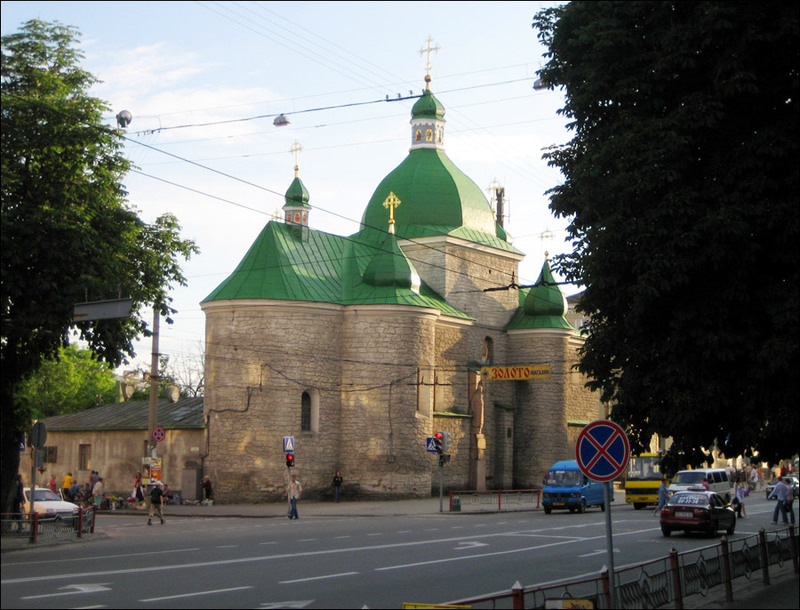 In 1648, 1651 and 1655, the Cossacks of Bohdan Khmelnytsky, who fought against the Polish authorities, passed through Ternopil. 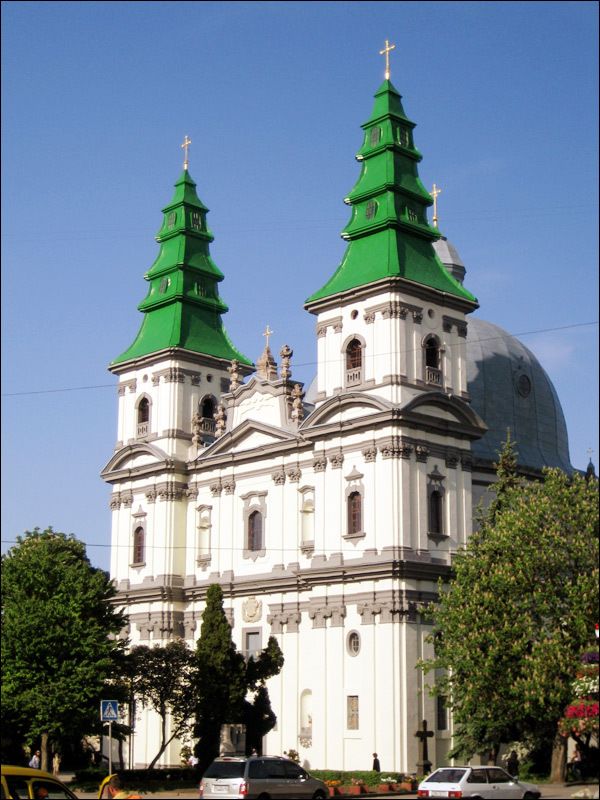 In 1772, as a result of the First partition of Poland, Ternopil was included in the Habsburg Monarchy. The town became the county center of the Kingdom of Galicia and Lodomeria. In 1808, the population of Ternopil was about 7,000 people. In 1809-1815, the town was occupied by the Russian Empire and was the center of a separate Ternopil region. In 1843, the last landowner of Ternopil concluded a contract with the mayor and sold his rights to the town. In 1844, Ternopil became a free royal town by the decree of Emperor Ferdinand I. In 1870, a railway connected Ternopil and Lviv. In 1898, the Ukrainian gymnasium named after Franz Joseph I was opened. At the end of the 19th century, the town’s population exceeded 30,000 people, of which about half were Jews. From August 1914 to July 1917, Ternopil was occupied by Russian troops and was the center of the Ternopil province. In 1918-1919, the town was successively the capital of the Western Ukrainian People’s Republic and the Ukrainian People’s Republic. In July 1919, Ternopil passed under Polish rule and was part of this state until September 1939. In the interwar period, industry developed rapidly in Ternopil. September 17, 1939, Ternopil was occupied by the troops of the Red Army. December 4, 1939, it became the center of the region as part of the Ukrainian Soviet Socialist Republic. The population of the town was about 50 thousand people. July 3, 1941, Ternopil was occupied by advancing German troops. During the occupation, about 20,000 civilians were killed, mostly Jews. April 15, 1944, Ternopil was liberated by the Red Army. The town was seriously damaged as a result of fighting. In 1944, the town received its current name Ternopil (Ternopol in Russian). Before it, it was called Tarnopol. In 1945-1954, there was a large-scale restoration of Ternopil. In 1948, gasification of the city began. In 1951, Komsomolskiy Pond was created with an area of 400 hectares. In 1957, a medical institute was opened in the city. 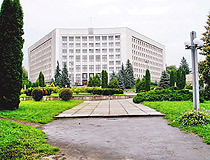 In 1969, a pedagogical institute was transferred from Kremenets to Ternopil. In 1991, the population of Ternopil was 219.2 thousand people. 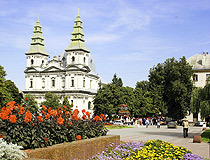 Since August 24, 1991, Ternopil is the center of the Ternopil region as part of independent Ukraine. The founding of towns in the Kingdom of Poland and the Commonwealth took place on the basis of royal privileges. Quite often the founder gave his name to the new town. Ternopil (originally Tarnopol) was founded by the Polish nobleman and statesman Jan Amor Tarnowski. So the name of the town is a combination of the family name of Tarnowski and the Greek abbreviated ending “-pol” (“polis” literally means town in Greek). In turn, the family name of Tarnowski is derived from the name of their home town - Tarnov. Also, in honor of Tarnowski, the town of Tarnobrzeg and Tarnogrud founded by them were named. August 9, 1944, according to a special decree of the Presidium of the Supreme Soviet of the USSR, the name of the city was slightly changed from Tarnopol to Ternopol (Ternopil in Ukrainian). 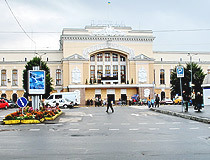 Ternopil is located about 420 km west of Kyiv. The town was founded on trade routes, due to which it quickly grew. Today, it is a major transport hub of Ukraine, where important roads and railroads cross. 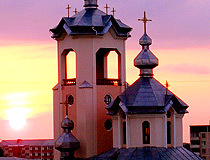 The climate of Ternopil is moderately continental, with warm, humid summers and mild winters. The average air temperature ranges from -4.4 degrees Celsius in January to plus 18.1 degrees Celsius in July. 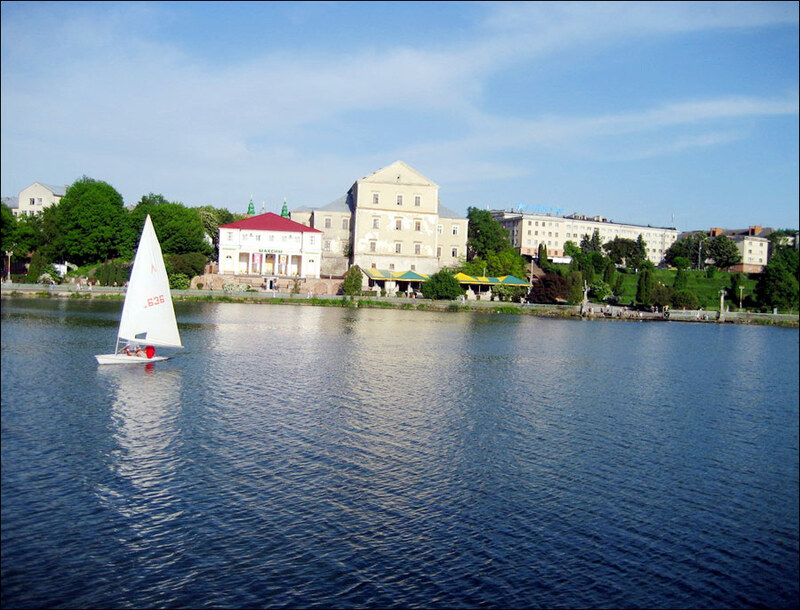 The largest reservoir and landmark of the city is Ternopil Pond also called Ternopil Lake, created on the Seret River in 1951. The original pond was destroyed during the Second World War. It should be noted that this is a rather rare occurrence when a large pond is located in the center of the city. During the Second World War, the city was seriously damaged. More than 90% of houses were not preserved. However, some valuable buildings were restored. A lot of preserved monuments of architecture, history and culture have features of eclecticism and modernity. 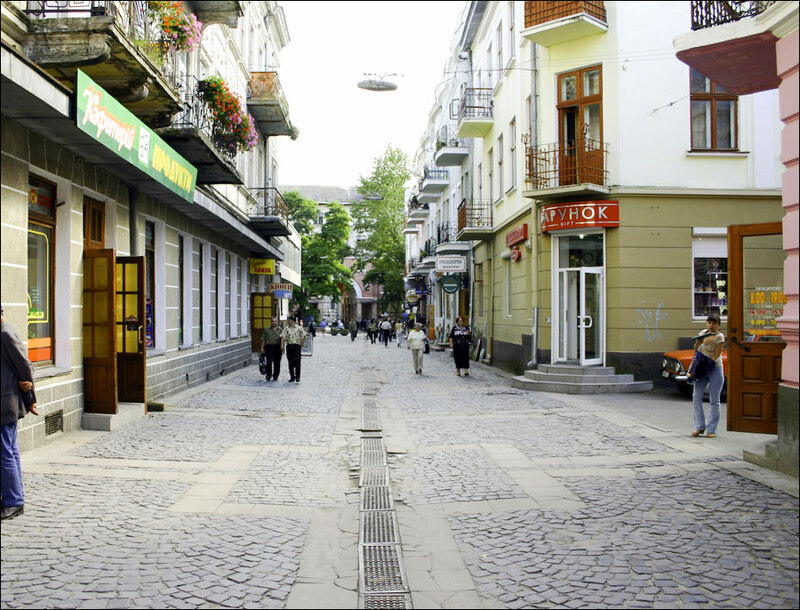 The architectural ensembles of the central part of Ternopil with a pedestrian zone give an idea of the original view of the old Ternopil. 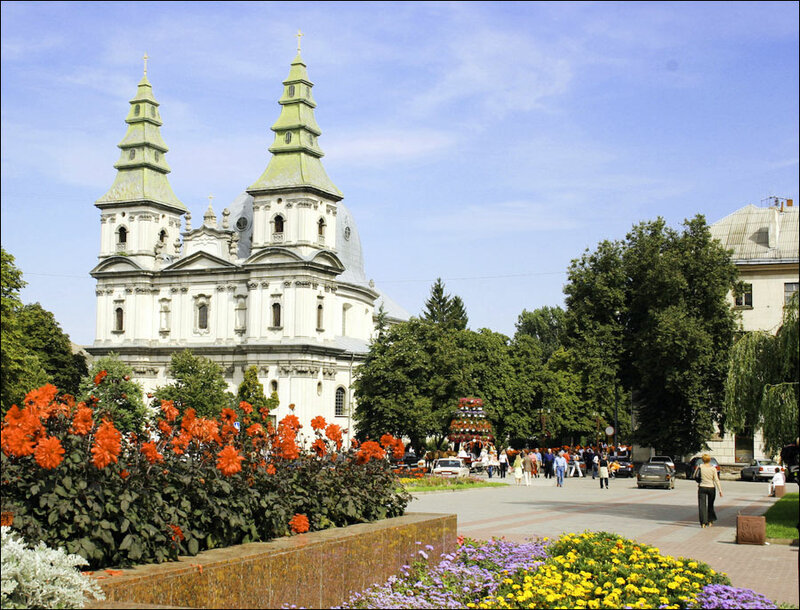 Ternopil is the center of the region famous for its castles, waterfalls, caverns, and rivers. This is the starting point of rafting routes along the Dniester canyon, tours to Ternopil caverns, to Dzhurynskyi waterfall (the most powerful waterfall in Ukraine, 16 meters high). 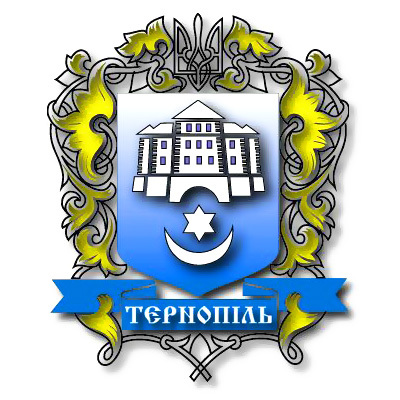 On the coat of arms of Ternopil you can see the castle of Tarnowski, the founder of the town, and the elements of the town’s first coat of arms - a crescent and a star. The City Day of Ternopil is celebrated on August 28. Church of the Nativity of Christ (1602-1608) - an amazingly beautiful church, one of the best examples of the Podolia architecture school of the 17th century. This is probably the most interesting architectural monument of Ternopil. Be sure to go inside the church - the impression is as if you find yourself in the catacombs adorned with church attributes. Rus’ka Street, 22. Cathedral of the Immaculate Conception of the Blessed Virgin Mary (Dominican Church) (1749-1779). This impressive Roman Catholic church with two graceful towers is an architectural monument of the late European Baroque. At the same time, the two-storeyed cell building of the Dominican monastery was built. The church had been badly damaged during the Second World War and was rebuilt in 1953. It was used as an art gallery of the Ternopil Local History Museum. In the monastery building there is still an archive. In 1992, the church was restored and returned to the local community of Greek Catholics. Het’mana Sahaidachnoho Street, 14. 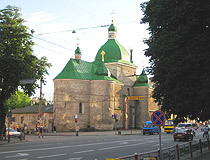 Church of the Exaltation of the Cross (1570) - the oldest church of Ternopil. It was built by the founder of the town Jan Amor Tarnowski on the site of the ancient Russian church of the time of King Daniel of Halych. The church was restored in 1959. Nad Stavom Street, 16. Memorial Museum for Political Prisoners. The museum is located in the basement cells of the former investigative isolator of the Ternopil Department of the NKVD-KGB. The exposition tells about the struggle of the Ukrainian nationalists with the communist regime, the repressive methods of the Soviet special services and the lives of those convicted in the camps of the Gulag. The prison atmosphere is reconstructed in 28 pre-trial cells. Visitors can see the punishment cell, torture instruments, clothing and everyday objects of prisoners. The entrance is in the courtyard. The tour is very informative and a bit creepy. 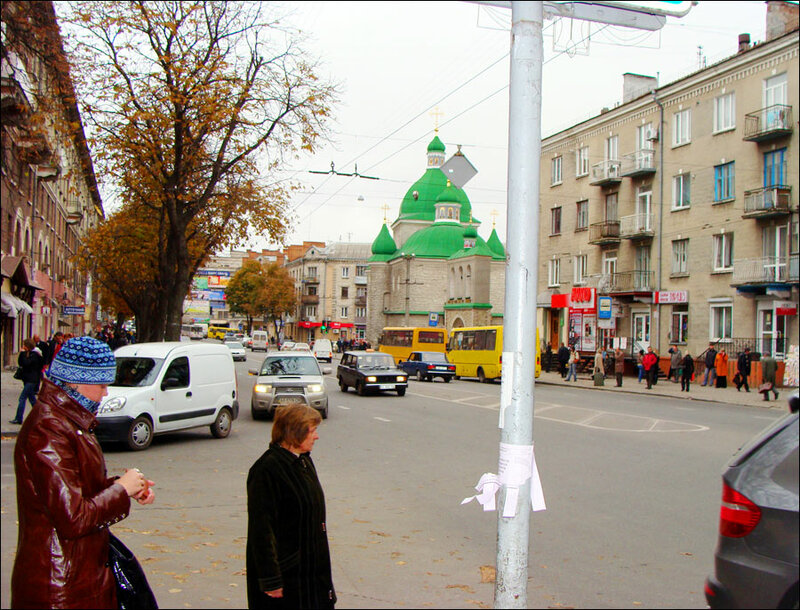 Kopernyka Street, 1. Opening hours: 10:00-17:00. Days off: Monday, Wednesday. Ternopil Local History Museum. The museum is located in an unusual building of Soviet times. The exhibition has more than 150 thousand exhibits and reflects the history of the Ternopil region since the 10th century. In particular, the collection of ceramics found during archaeological excavations in the region is presented. The most valuable exhibits are 4 allegorical sculptures from the side altar of the Buchan Pokrovskaya church made by the world famous sculptor I. Pinzel. Heroyiv Yevromaydanu Square, 3. Opening hours: 10:00-17:45. Days off: Monday, Wednesday. Museum of Art. Here you can see a gallery of works of little-known masters of the 18th-20th centuries, as well as a collection of sacred art: icons, crucifixes, sculptures, and church bells. In particular, the unique icon of the beginning of the 20th century made by A. Monastyrsky depicting Jesus Christ in embroidery. The collection of paintings of lesser-k Krushel’nyts’koi Street, 1?. Opening hours: 9:30-17:30. Day off: Saturday. Museum Retro-Cortege. The first museum of retro cars in Western Ukraine was opened in Ternopil on the initiative of the entrepreneur T. Demkur in 2016. There are more than 20 vintage cars, some of which have an interesting history. In particular, there is “Jaguar”, which belonged to the US President Richard Nixon, as well as “Maybach” from Hitler’s Headquarters “Werwolf”, Dodge Monaco, Opel Admiral. The oldest car dates back to 1933. Also you can see restored motorcycles, old radio equipment, a collection of mini-cars from different parts of the world, military equipment. 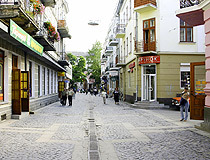 Yosyfa Slipoho Street, 7. Restaurant-Museum “Staraya Melnitsa” (Old Mill). This restaurant-museum is located on four floors of an unusually looking building. The premises inside and outside are decorated with antiquarian things of national life, traditions and customs. In total, there are about 3,000 exhibits. 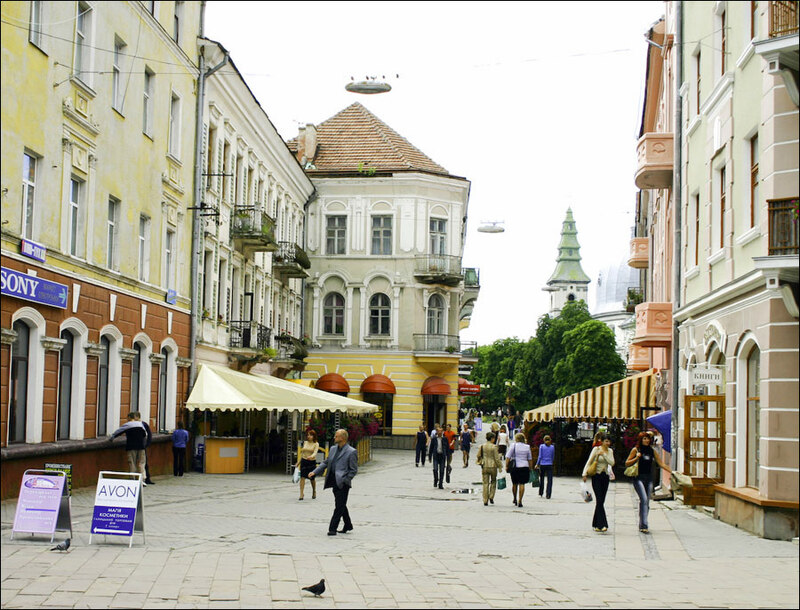 It is a great place to taste traditional Ukrainian cuisine Brodivs’ka Street, 1?. Monument to Daniel of Galicia. 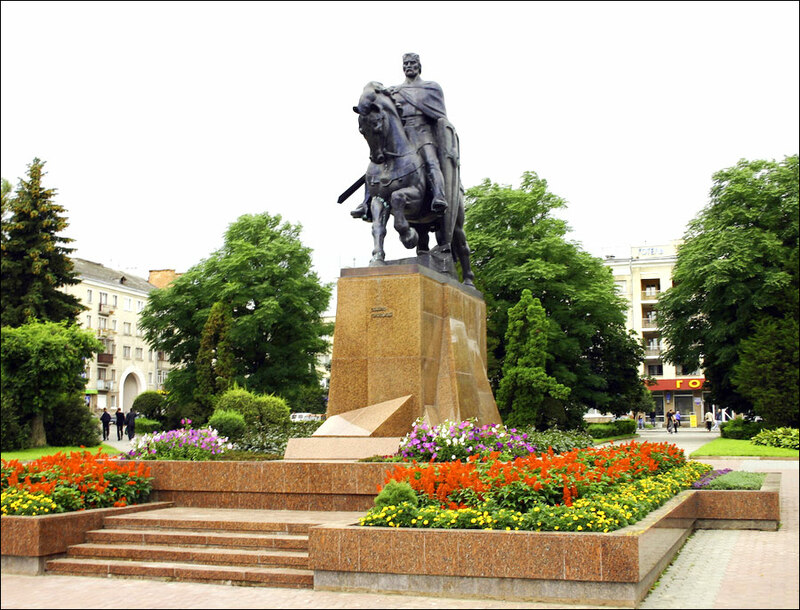 The monument to Prince Daniel of Galicia, the unifier of Western Ukrainian lands, was opened in the center of Ternopil in 2002. In the middle of the 13th century, he became the king of the unified state of Galicia and Volhynia (Ruthenia). 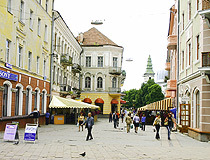 Voli Square. Monument to Stepan Bandera. The monument to the head of the Organization of Ukrainian Nationalists, the leader of Ukrainian nationalists Stepan Bandera was erected in Ternopil to commemorate the 100th anniversary of his birth in 2008. It is located in Taras Shevchenko Park, opposite the building of the Ternopil Regional State Administration, on the site where there used to be a monument to Lenin. Monument to Solomiya Krushelnytska. The world’s first monument to the outstanding opera singer Solomiya Krushelnytska (1872-1952) was installed in Ternopil in 2010. Before that, the memory of the Ukrainian singer, born in the Ternopil region, was perpetuated only by busts in Lviv and Milan, where she performed at the La Scala Theater. Tarasa Shevchenka Boulevard, 33. Monuments to the Plumber, the Invisible Man and the Chair. The complex of three humorous monuments was opened in the center of Ternopil, near the shopping and recreation center “Atrium” in 2010. Two of them are devoted to literary works, and the third - a worker of public services. The monument to the 12th chair is inspired by the satirical book of Ilf and Petrov “12 chairs”. The monument to the invisible man refers to the novel of the same name by Herbert George Wells. The monument to the plumber is dedicated to the workers of the Ternopil water utility company. Yosyfa Slipoho Street, 5/6. Ternopil Pond. 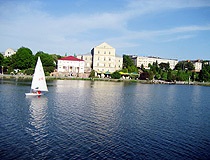 The first pond in the center of Ternopil was created on the initiative of the founder of the town during the construction of the Ternopil castle. In addition to the defensive role, the pond also played an economic role - it was used for breeding fish. During the Second World War, the pond was destroyed. The pond was restored in 1951. Today, the pond is surrounded by parks (Taras Shevchenko Park, Topilche Park, Zahrebellya Park), which are favorite places for walking of locals and visitors of Ternopil. Ternopil Castle. The original castle of Ternopil was built in 1540-1548. In the 17th century, the fortifications were expanded, but in the following years they were repeatedly destroyed. In particular, the castle was almost completely disassembled by the Turks in 1672. At the beginning of the 19th century, on the site of the castle, a palace was built, the remaining fortifications, towers and gates were demolished. During the First World War, the palace was burned and lay in ruins for a long time. In 1951, the palace was restored. It housed exhibition halls, and a training and sports center. 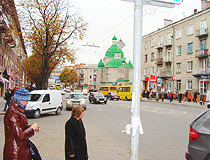 Zamkova Street, 12. Academic Theater of Taras Shevchenko. 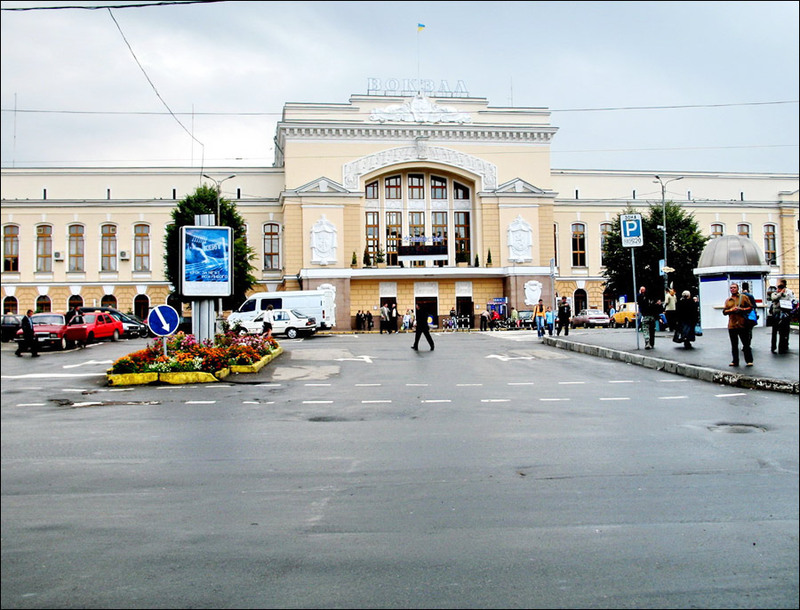 The first professional theater was founded in Ternopil on the initiative of the famous Ukrainian actor and theater director L. Kurbas in 1915. The present building of the theater with 600 seats was opened in 1957. In the public garden next to the theater there is a monument to Taras Shevchenko. Tarasa Shevchenka Boulevard, 22. Today, there are about a dozen hotels in Ternopil, the following ones located in the central part of the city offer the best level of service according to visitors’ reviews. Hotel “Avalon Palace”. The six-story building of the hotel, located close to the railway station and near the center of Ternopil, has 60 rooms of various categories. Air conditioning, free Wi-Fi and parking, room service, bar, elevator, pets are not allowed, the staff speaks English and Polish. Stepana Bandery Avenue, 2. Phone: +380 352 47 45 45. Hotel “Sapsan”. This small hotel with 11 of different categories rooms is located in a picturesque corner of Ternopil, on the shore of a pond, near the city center. Air conditioning, free Wi-Fi, room service, bar, beachfront, pets are not allowed, the staff speaks English. Biletska Street, 49A. Phones: +380 98 701 71 61, +380 352 52 07 17. Hotel “Yukhnovych” - a small hotel with 6 rooms located in the center of Ternopil, not far from Teatralna Square. Air conditioning, free Wi-Fi and parking, safe, room service, beauty salon, pets are allowed on request. Rodyny Barvins’kykh Street 3A. Phones: +380 67 67 905 45, +380 352 52 53 34. Hotel “Halychyna”. This large hotel is located 10-minute walk from the historical center of Ternopil in the park area on the shore of the city pond. From the windows of the hotel you will have an excellent view of the city pond, the old town and the Ternopil Castle. Free Wi-Fi, bar, beauty salon, pets are allowed on request, the staff speaks English and Polish. Chumats’ka Street 1. Phones: +380 352 52 43 97, +380 67 353 50 89. It was lovely seeing where my father came from. He lost contact with most of his family when he came over to the UK in the war. It was nice to read about my grandmothers town and see how it looks like. She left it during the Second World War.